Robix Environmental Technologies: Poised To Capture A Significant Slice Of A $50 Billion Industry | Energy and Gold Ltd. The Macondo/Deepwater Horizon disaster in 2010 brought oil spill cleanup technology to the forefront of the news and made it a pressing priority for oil producers with offshore wells. In its urgency to clean the oil up as fast as possible and get it off the surface of the Gulf of Mexico BP utilized a lot of technology which simply caused the oil to sink, but did not actually entirely remove it from the water. In all honesty BP did a sub-par job in cleaning up the Deepwater Horizon disaster and it cost the company nearly US$30 billion. Surely there must be a better, less costly technology to clean up catastrophic oil spills? 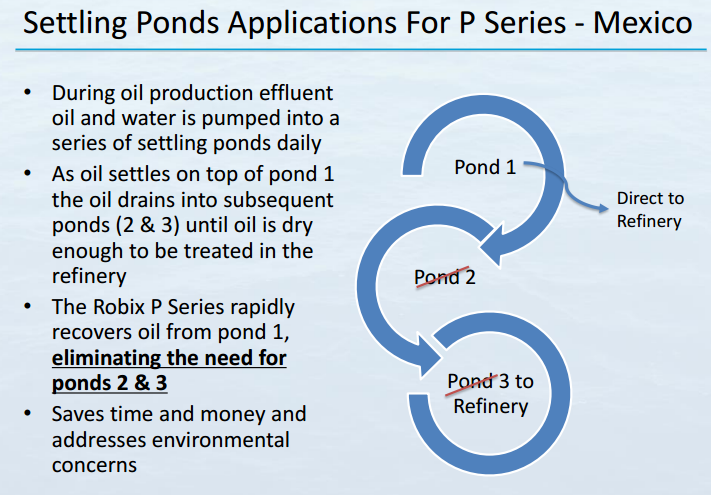 Enter Robix Environmental Technologies (CSE:RZX) and its patented revolutionary oil recovery technology which utilizes the Oleophilic principle of physics i.e. basic affinity between oil and metal (oil clings to drums as they spin). Robix Environmental Technologies has proprietary patented oil spill cleanup technology that cleans up ~93% of oil in the water. 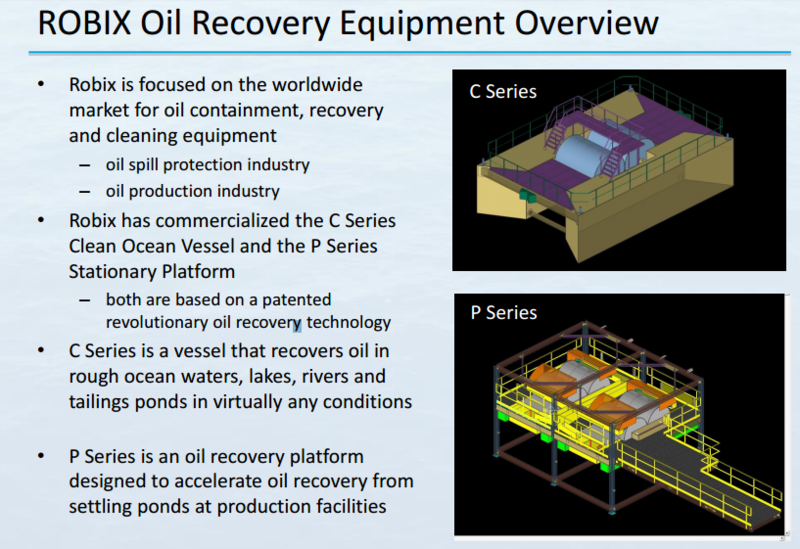 Perhaps the most remarkable aspect of Robix’s technology is that not only does the oil get cleaned up but then it is gathered again for resale. In addition, Robix technology reduces the water content in oil thereby making it more valuable for commercial resale. During testing with Pemex Robix oil cleanup technology was so impressive that Pemex expressed a strong interest in leasing a significant number of Robix equipment. In addition Pemex is implementing Robix technology in their oil processing facilities to reduce the ‘water cut’ in Pemex’s oil which currently contains approximately 30% produced water. Robix has identified over 14 different locations throughout Mexico and soon Pemex will begin running its oil through Robix equipment to reduce the water content in its oil. The ‘P’ series of Robix Oil Recovery Technology is for separating oil from the water cut in oil production, whereas the ‘C’ series is designed for catastrophe. Robix has a promising relationship with Pemex which includes an initial contract for one C series vessel which Pemex is currently testing and a second contract for 14 P series units which are set to be delivered during Q3 of 2017. Robix’s success with Pemex has led to strong interest from the Mexican Navy and the company has recently signed a letter of intent with the Mexican Navy to supply 100 C class Clean Ocean Vessels. This is potentially a $100 million/year contract with potential for upside in terms of both the number of vessels and revenue. 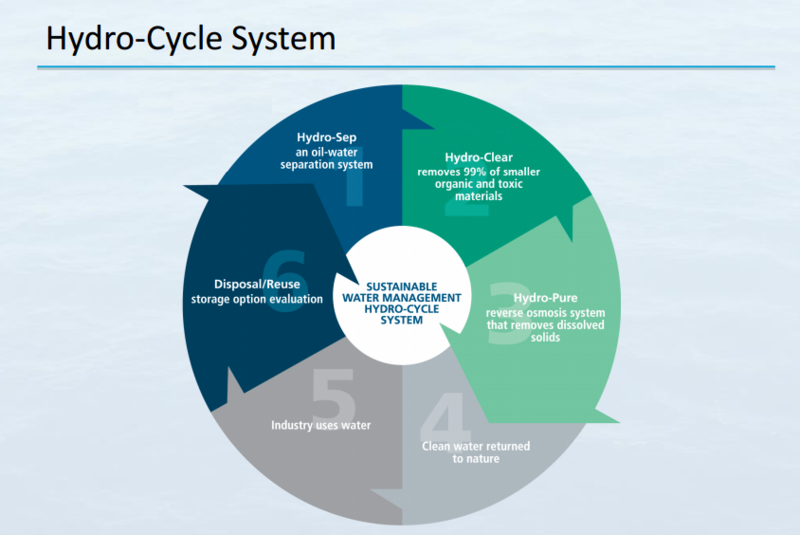 Initially Robix is focused on expanding its presence in Canada and Mexico, however, the company is preparing to capture a significant slice of the ~$50 billion annual global water remediation industry pie. Robix is on the verge of potentially signing more than $100 million in annual contracts and with ~65% gross margins RZX’s C$13 million market cap does not appear to appreciate the revenue and growth opportunities this company could capture very soon. The article is for informational purposes only and is neither a solicitation for the purchase of securities nor an offer of securities. Readers of the article are expressly cautioned to seek the advice of a registered investment advisor and other professional advisors, as applicable, regarding the appropriateness of investing in any securities or any investment strategies, including those discussed above. 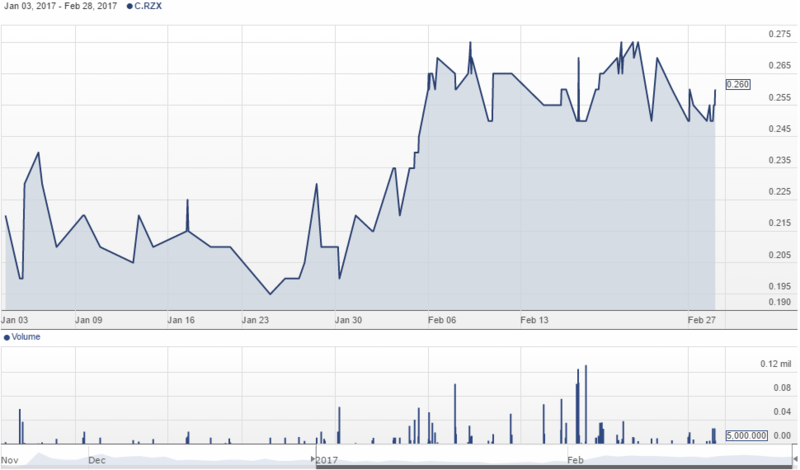 Robix Environmental Technologies (CSE:RZX) is a high-risk CSE listed stock and not suitable for most investors. Consult Robix Envioronmental Technologies’ SEDAR profile for important risk disclosures. EnergyandGold has been paid to cover Robix Environmental Technologies and so some information may be biased. EnergyandGold.com, EnergyandGold Publishing LTD, its writers and principals are not registered investment advisors and advice you to do your own due diligence with a licensed investment advisor prior to making any investment decisions.